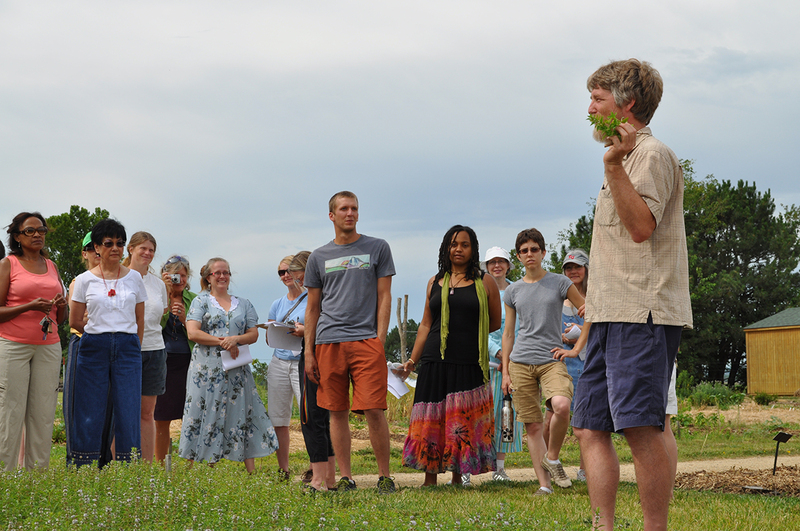 LAWRENCE — The public is invited to the fall semiannual tour of the University of Kansas Native Medicinal Plant Research Garden at 10 a.m. Saturday, Oct. 6. 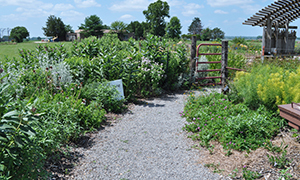 The garden, situated just east of the Lawrence Municipal Airport, includes research plantings, a large native plant demonstration garden and the KU Student Farm. Garden pathways are ADA-compliant, and the site is open to the public dawn to dusk. This informal tour will be led by Kelly Kindscher, Kansas Biological Survey scientist and professor in the KU Environmental Studies Program. Botanist Jennifer Moody, the new Biological Survey coordinator for the garden, along with students who work at the garden, also will be available to answer questions. See the Facebook event. Allison Dishinger of the Douglas County Extension Master Gardeners, who partner with the survey to manage the garden, will discuss the new native planting in the center of the demonstration garden. The garden site, established in 2010, serves as a gateway to the KU Field Station, as it is the first of several Field Station sites on East 1600 Road in Douglas County north of Highway 40. Land for the garden was made available by KU Endowment. The KU Field Station, established in 1947, is managed by the Kansas Biological Survey, a KU designated research center. The core research and operations area of the Field Station, north of Lawrence, consists of 1,800 acres, with five miles of public trails.